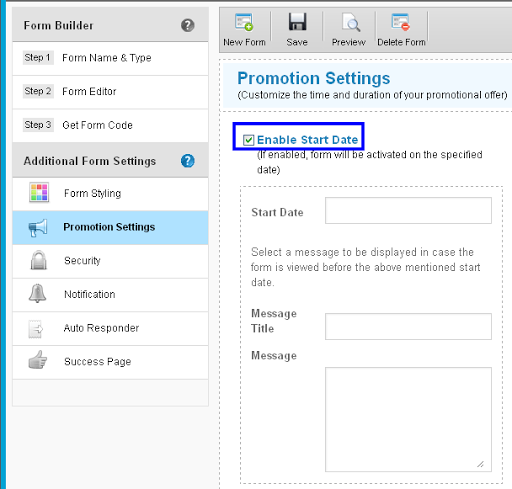 The Promotion Settings enable you to schedule the form to appear on the site for a limited period of time. 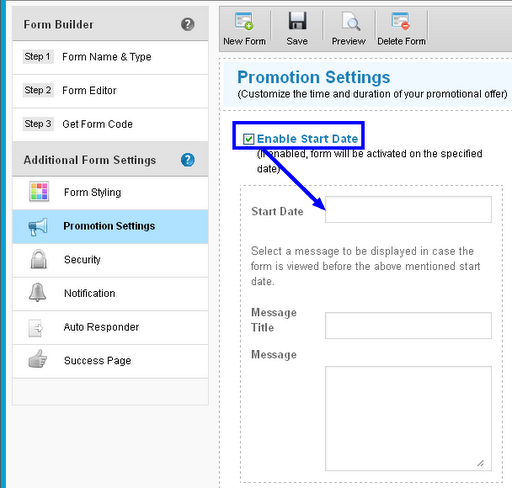 1) Click on Promotion Settings in Additional Form Settings in the Form Builder. 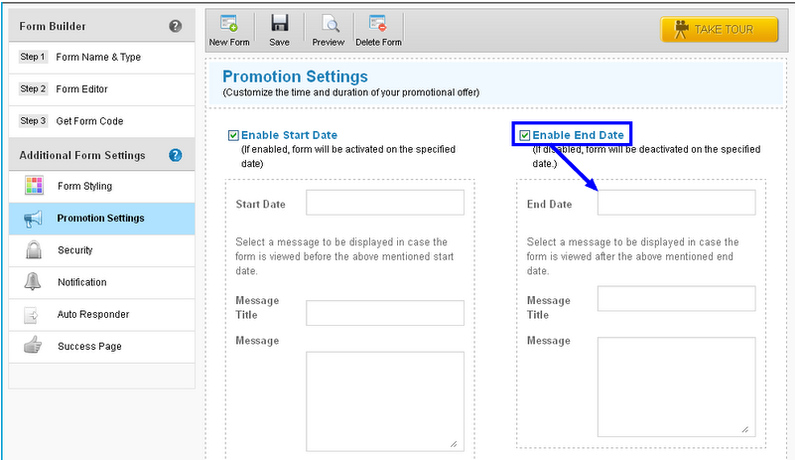 2) Click on Enable Start Date, to enable the activation date for the form. 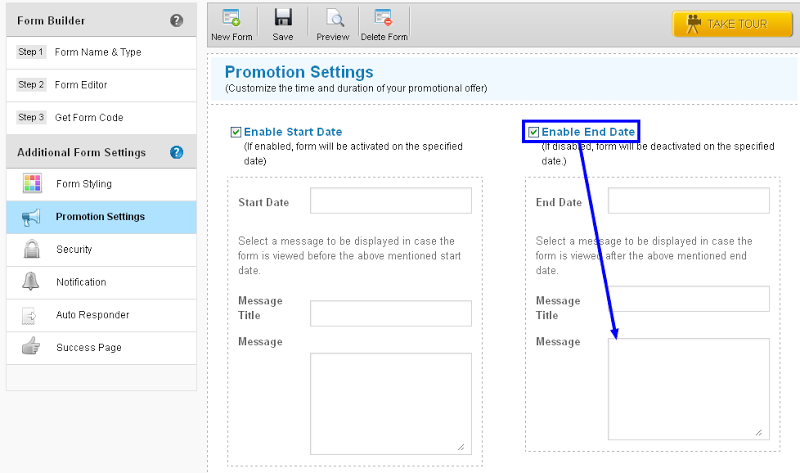 3) Click on Start Date to set the date for the activation. 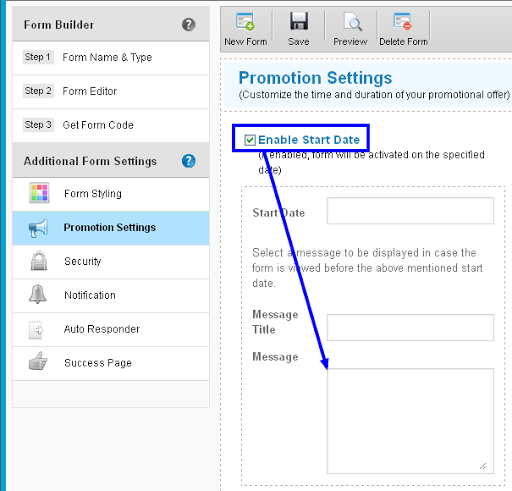 4) Set a Message Title for users accessing the form before activation date. 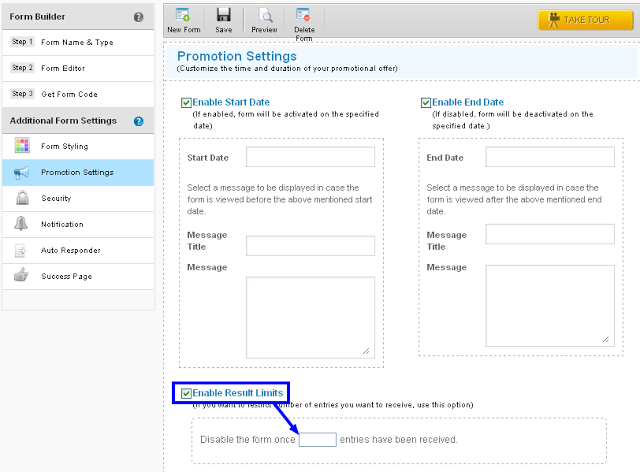 5) Enter a message to be viewed by users, who access the form before activation date. 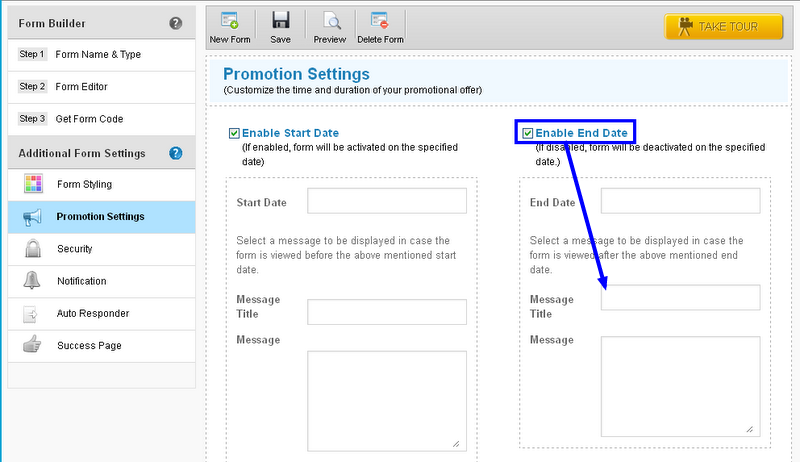 6) Enable End date, if you wish to maintain limited form availability. 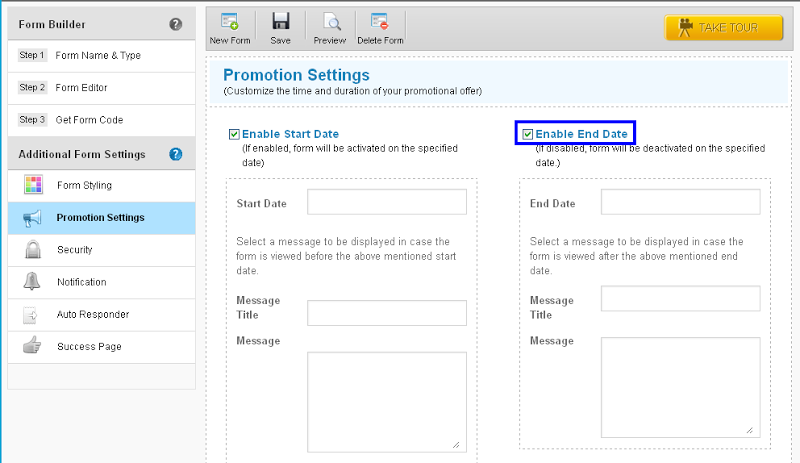 7) Click on End date, to set a date for the closing of the form submission. 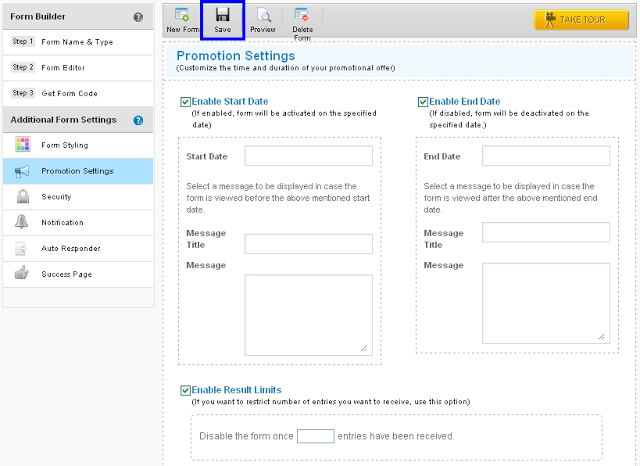 8) Set a Message title, for users accessing the form after submission dates. 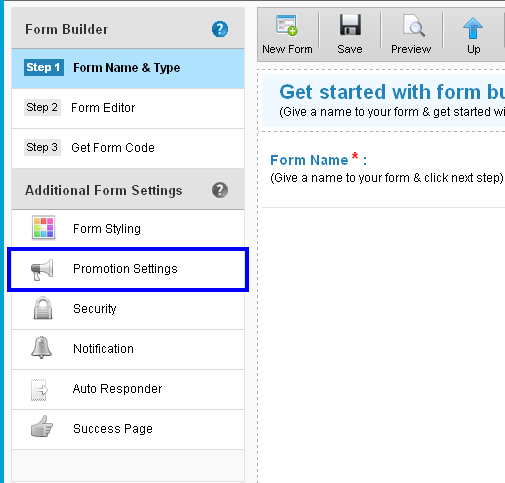 9) Enter a message for users accessing the form after submission dates. 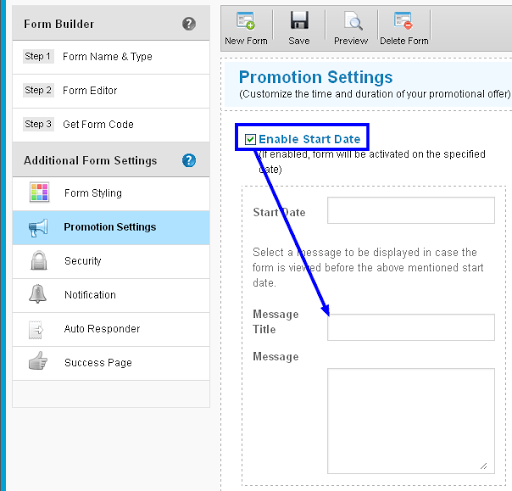 10) Check Enable Result Limits, to limit the number of form entries received. Enter the result limit in the checkbox.